To compete with the pros on Wall Street, you have to get a glimpse inside their mind. Many of these guys spend countless hours studying the markets: 12-15 hour work days aren’t uncommon at hedge funds and investment banks. NOFT Traders know this because they lived it. Sporting a team of highly talented professionals, NOFT claims they can take you inside a world often unseen by retail investors. 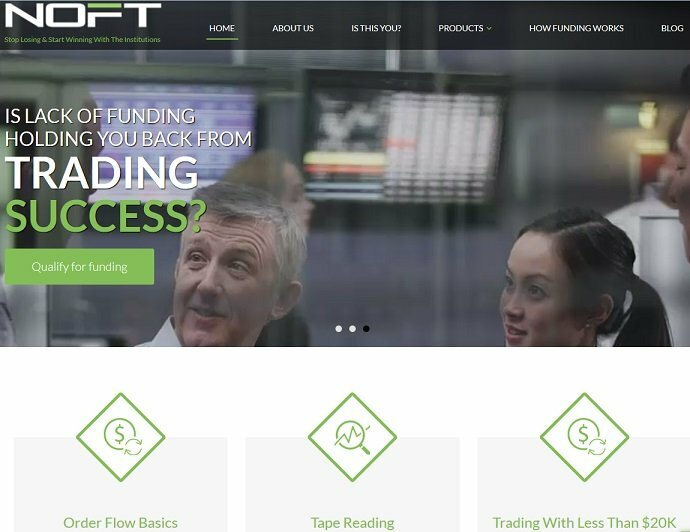 But are the NOFT-Traders trading courses and funded trading accounts ​the real deal? In this NOFT Traders review, we’ll dissect the claims and let you know if they deserve your hard earned money. NOFT Traders is an investment advisory service that teaches students forex and futures trading. What sets them apart from the competition is their instructor team is made up of professional prop traders that led departments at major hedge funds, investment banks and insurance risk management firms. Sporting decades of experience, NOFT Traders uses its proprietary strategies and software to train students on how to think like professional traders. Its NOFT system is structured around the concept of order-flow sequence tracking. Once you master this concept, you’ll be able to understand why institutions earn the bulk of trading profits in the market. As a side benefit, NOFT Traders also offers funded trading accounts. Students who master the material can qualify for a capital infusion to get them up-and-running and help them profit along the way. NOFT Traders has two main products in its inventory: The Futures Institutional Edge System and Forex Alpha. 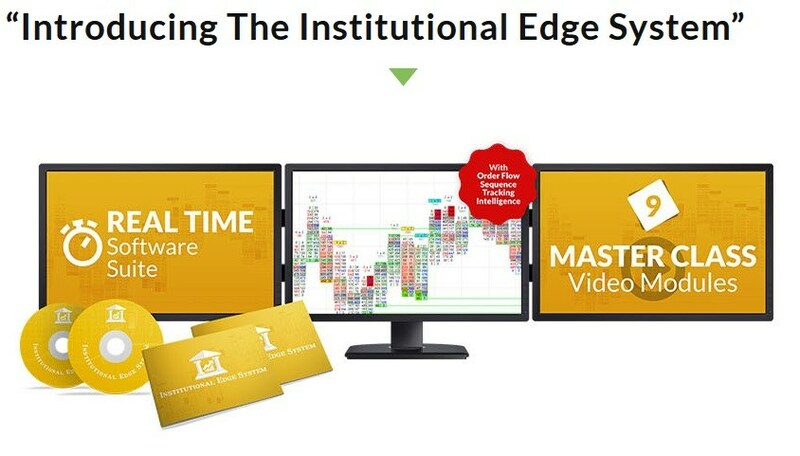 The Futures Institutional Edge System offers step-by-step instruction of concepts 95% of traders don’t know. Their strategy is to teach you about real-time institutional-grade order flow sequences. So what is order flow trading? When institutional investors place buy and sell orders, they have so much capital at their disposal, it results in a significant effect on the futures price. By following the NOFT Trader Institutional Edge System, you can learn to positon yourself in front of these traders and follow the momentum to higher profits. So, what do you get when you sign up? The master class videos come with over 50 hours of step-by-step instruction outlining low-risk, high-reward trading opportunities. With the live trading exercises, you get to participate in weekly Q&A sessions as well as the weekly online webinar. The real-time software suite and white glove remote installation provide you with the necessary data tools to trade futures without any lag or delay in the process. The best part about the offering is it comes with a full 14-day money back guarantee. When putting together reviews, we always cite how important it is to allow subscribers risk-free access to the strategy. ​It’s easy to make promises and prey on people’s eagerness to improve their trading game. So by allowing a full refund, it shows NOFT Traders are willing to back it up. However, you should read the exact T&C regarding the refund before you buy. ​So what does the NOFT Traders Futures Institutional Edge System cost? Unfortunately, the price isn’t directly disclosed on the site. Due to the significant time and investment it takes to train students, NOFT’s products are only available to individuals that qualify. Other sites estimate the price in the $3,000 to $10,000 range, but if really you’re interested, you can email them directly and get complete program details and pricing. So what’s our opinion of the Futures Institutional Edge System? Well, their advertising is great. To have the chance to learn from experienced Wall Street professionals isn’t something you can get just anywhere. More importantly, being insiders adds credibility to their claim that they have, and can teach, winning trade strategies. If you’re interested, our advice is to email them directly. Since their names aren’t disclosed, ensure they provide you a list of instructors so you can check their background and ensure they’re legit. However, considering they offer a full 14-day money back guarantee, I’m sure they’ll be transparent. Back in 2018, I had an interview with one of their head traders, Troy Epperson. However, the owner of NOFT-Traders changed in 2019​. The lack of transparency regarding the pricing and the coaches on the website is a bit of a problem. However, this can be solved easily. So, either way, it’s best to air on the side of caution. Just give them a call or write them an email before you put money on the table. 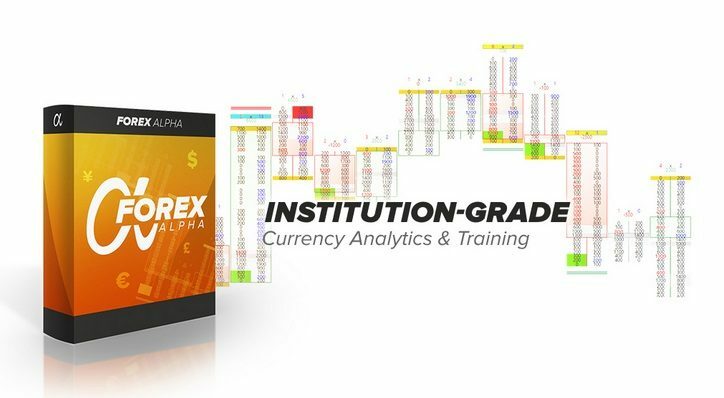 Forex Alpha is an institutional-grade currency analytics platform that provides data on institutional bids and offers. The subscription costs $1,999, but before signing up you can book a free live demo where a NOFT Trading expert walks you through how and why the product works. When using the service, you receive real-time updates that help you avoid unforeseen currency swings and analyze volume in a more detailed manner. The key to the strategy though, is institutional investors have advanced charting equipment that can assess when the market is running out of gas and buyers are thin or when a sell-off is just picking up. These factors have significant price impact on currency pairs. So by using NOFT Trader’s Forex Alpha, you can get the same level of insight. ​What’s included with a NOFT Traders Forex Alpha subscription? The educational part of the course is also very thorough. It includes over 50 lessons on how to trade currencies and how you can use the indicator tools to spot profitable opportunities. However, you have to be aware of the fact, that you need NinjaTrader 8 to use NOFT-Traders trading indicators and tools. They only work with NinjaTrader trading software and NinjaTrader itself costs more than $1,000. Those expenses are on top of your subscription with NOFT-Traders. NinjaTrader is a pro-grade trading platform that comes with advanced charting tools. Check out our comprehensive guide about the best stock screener available right now. It covers more than 50 different stock screeners available. From the market leaders of traditional charting like NinjaTrader, eSignal and VisualVest, up to modern artificial intelligence based stock screeners like Trade Ideas. Like the Futures Institutional Edge System you also receive the white glove setup as well other free software that helps get you started. Last is the KickStart currency setup. It’s a $250 value and is included as free bonus. ​Should you buy Forex Alpha? Well, compared to the Futures Institutional Edge System, there are a lot of things to like here. For starters, the course is very detailed and well thought-out. Second, the currency analytics tools are essential to compete with professional traders. Short-term trading, especially with currencies, requires real-time price updates. The slightest delay can turn a profitable trade into a missed opportunity. Luckily, with the institutional grade currency indicators, you want have that problem. You’re provided with all the ammunition you need to battle the best. Last, and arguably the most important, is the option to participate in the live demo. By having a professional NOFT Trader walk you through how and what to look for, you can really assess the products quality. More importantly, the live demo it shows NOFT Traders are willing to stand behind its product, which is vital for a purchase of $1,999. We think you should first give them a call and ask to talk with one of the head traders instead of a call with one of the salespersons. Make sure to have your questions ready and ask for the exact conditions of the 14-day money back guarantee that they advertise with. Also, remember, you need NinjaTrader which costs you more than $1,000 extra. Unfortunately, NOFT Traders does not offer a free trial for its Futures Institutional Edge System. However it does come with a 14-day money back guarantee. One the other hand, Forex Alpha does include a free trial. You can book a free one-one-one session where a NOFT Trader will walk you through how to use the program and show you many of the techniques institutional traders use to trick, trap and blindside retail investors. The site also offers a wealth of other free trading material. It has guides on Order-Flow Basics, Tape Reading and Trading With Less Than 20k. The NOFT Traders Blog also has a ton of useful information on Futures, Forex, Options and Stock Trading. ​Keep in mind, while NinjaTrader is for free while paper trading, you have to pay for it once you are ready to get started with live trading. Free trial: ​Yes. Free Forex Alpha Live Demo. Money back guarantee: ​Futures Institutional Edge System has a 14-day money back guarantee. ​Who is NOFT Traders Best For? ​​NOFT Traders can be considered by anyone interested in derivatives or someone with a passion for currency trading. The site offers a Futures Institutional Edge System which helps you master the futures market. It’s common knowledge that derivatives trading, and all assets for that matter, are dominated by institutional investors. By using NOFT Trader’s products, you get insight into how the professionals think and the best strategies to exploit it. Furthermore, NOFT Traders offers funded trading accounts too. If you’re serious about forex trading, the Forex Alpha course covers an abundance of concepts that teach what to look for in the market and how to spot moves made by the professionals. However, there are great alternatives available and some of the best trading courses are available for much less. But as you know, pricing is not always the only aspect to be considered. We stay by our general rule: As long you have to test a trading course for free, you can test it. Once you tested it, you have to be strict and decide on how to proceed and where to invest your money. Nothing speaks against the idea to test as many trading courses for free and after that to decide which way to go. Right? NOFT Traders site claims its instructors are former professional prop traders that headed departments at major hedge funds, investment banks and insurance risk management firms. ​The site offers two main products: its Futures Institutional Edge System and Forex Alpha. The former uses institutional trading strategies perfected by some of the worlds’ elite. The cost of the program isn’t directly disclosed, you have to email them, but it’s estimated in the $3,000 to $10,000 range. While it’s a significant outflow, the team offers a 14-day money back guarantee, at least for the Forex Alpha program, which adds peace of mind. Keep in mind to read the exact T&C regarding the money back guarantee before you buy. The Forex Alpha course is highly detailed, covering not only education, but also provides you with a plethora of data analytics and advanced charting tools to help you outwit the competition. More importantly, the team offers a free one-on-one trading session where a NOFT Trader explains how to use the program and how it will give you an edge. A full subscription costs $1,999, plus more than $1,000 for the NinjaTrader trading software, but with the free demo, you’ll have all the information you need to make an informed decision.